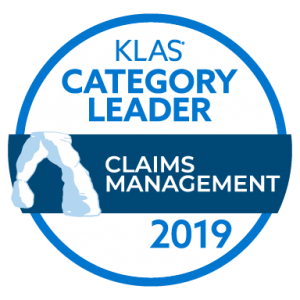 CLEVELAND, January 31, 2019 – Quadax, Inc. was named Category Leader for Claims Management for the second year in a row in the 2019 Best in KLAS: Software & Services report, which names the top-performing vendors that help healthcare professionals provide better patient care. Ultimately this rating was earned because of the interviews KLAS conducted with users of the Quadax Claims Management application, Xpeditor. Unanimously, our clients agree Xpeditor™ helps healthcare organizations expedite payments and reduce the cost and effort of managing claims. The Quadax library of standard edits is so comprehensive, nearly all Xpeditor claims are accepted by payers on the first pass. In addition to great technology, Quadax leads the industry because of our exceptional service and support model – responsive, timely and proactive to our clients’ unique needs. While many in healthcare tend to think of claims processing as a commodity, Quadax continues to demonstrate providers can and should expect more from their claims management vendors. Quadax empowers clients to drive costs out of the healthcare revenue cycle. With solutions for patient access, claims, reimbursement, denials, appeals & audit management, plus business analytics, our efficient, highly configurable system for claims submission and tracking transforms operations and puts our clients in control. KLAS data is freely available to healthcare providers. You can learn more about KLAS and the insights they provide, and download the 2019 Best in KLAS: Software & Services Report. Quadax is a healthcare services and information technology company focused on making the business of healthcare run better. The company partners with payers, hospitals, physician offices, laboratories and others to allow them to focus on their role in providing quality healthcare. Quadax improves clients’ financial and operational performance with innovative solutions, strategies, and services built on superior software technologies that include accounts receivable systems, revenue cycle management services, electronic transaction management systems, and reimbursement support services. To learn more, visit us at www.quadax.com or follow us on LinkedIn or Twitter.